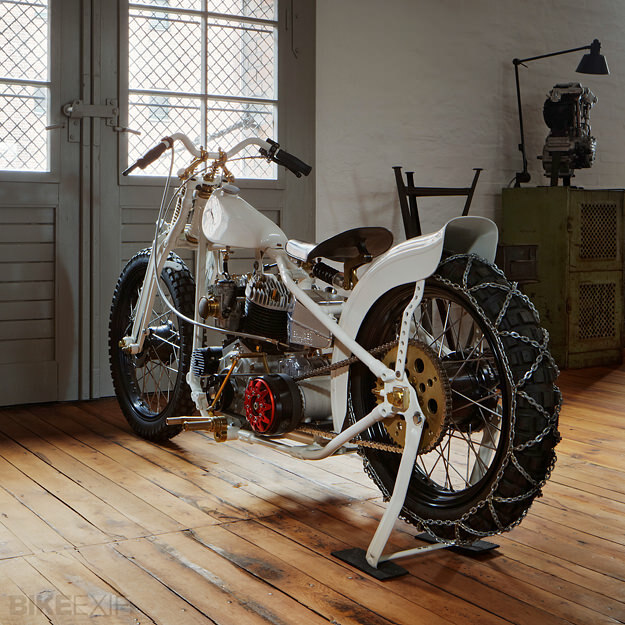 It was just last week when I found out about Krugger Motorcycles. Often what I will do is look for custom motorcycles and share them with everyone. 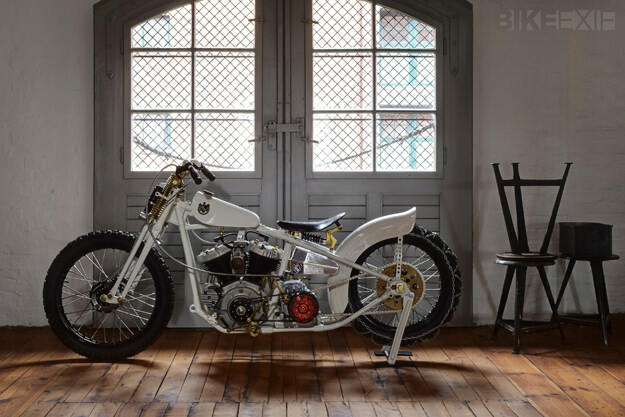 I admit that you can say that Krugger Motorcycles redefine the words “custom bikers”. I was checking out Krugger Motorcycle and have stumbled on ’66 Honda CB450. Which I really liked, and it grabbed my attention. Battery technology has expanded better and started to reach out more to the motorcycle world. This battery is perfect for taking serious amount of weight from your motorcycle. The Anti-gravity Lithium Ion power pack is the way to go for your next battery. LC Fabrications new custom batteries trays add an impressive look to any ride. The trays are 6061 aluminum and polished for perfect finish. LC Fabrications states that their batteries are universal and will fit most likely on any motorcycle. Starting price is $85, but in the price the mounts to mount the battery are not included. The best part of all features from LC Fabrications that their Anti-gravity battery boxes are made in America. Let’s learn little history of Pierce motorcycles all the way back to 1907. The first Pierce motorcycle was manufactured in 1907 and the production continued for 7 years. However, George Pierce went bankrupt the production has ended in a flash. Pierce bikes have won a lot of local races and were able to reach 60 mph, back in 1907. The bike featured today will be auctioned at the 22nd Annual Copake Antique & Classic Bicycle Auction on April 20th, 2013 in Copake, New York. As of today the starting price for this motorcycle is unknown, but if you are interested I suggest you do head down to the auction on April 20th. I have been in touch with Biker Monkey (Brent) each day to see what his new website will look like. I have to say that it looks pretty awesome and it has a lot of features. I do recommend checking Biker Monkey for crazy rides. The last ride featured by Biker Monkey was to Deep Sh*t Cattle Co; just imagine the face of Chris Rooney when he arrived at the place. You will find both experience and fun in Biker Monkey rides. In the future make sure Biker Monkey will be your first stop to check out latest events and blog posts. The website is packed with a lot of features, which I have not explored yet. For sure I will be checking Biker Monkey Events 2013 for the latest events. It is a busy day today at eBikerLeather and we are running behind our schedule. However, I still had to find time to post one post at least, and not leave you guys hanging. So interesting topic I have found in our eBikerLeather Daily News. Tim Banks is owner of Cycle Works Choppers, and is known nationwide to build bikes. 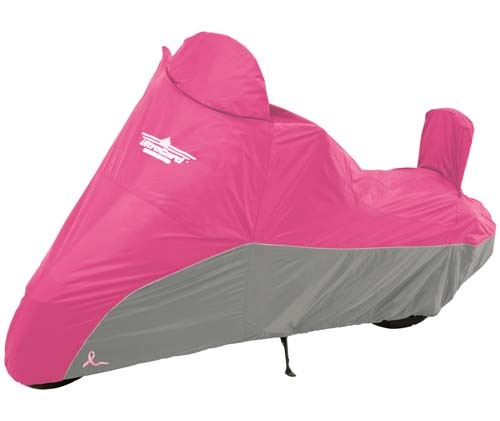 Tim has created a Breast Cancer Awareness motorcycle to raise awareness for this cause. Tim decided to build the bike and support the survivors and supporters. The unique bike will be unveiled Thursday, January 31st at 2 p.m. River Park Center.